Security is always a concern. Whether you are at the office, in a public access building such as a gym, leisure centre or anywhere you need to store personal items, you want to know that your belongings are safe in lockers designed with the latest secure locking technology. At Après Furniture we have more than two decades worth of experience supplying office storage solutions such as staff lockers, secure office lockers, as well as public lockers including changing room lockers and gym lockers, with various different locker sizes to choose from. We work with only the leading manufacturers in the UK and Europe to ensure that whichever secure storage solution you opt for, you are receiving the very best and latest in the market. Epitomising our selection of the most robust and reliable secure personal storage solutions is our range of Bisley lockers such as MySpace™ Lockers. Coming with a 10 year guarantee, this range of specialist business storage solutions is formed from dependable steel and is available in various heights with different closure options. 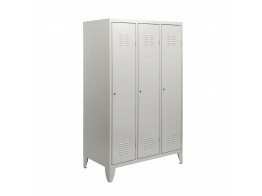 Our range of modern lockers are suitable for a wide range of industries. 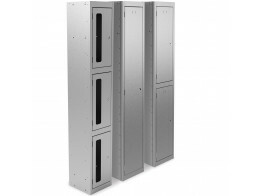 With options for clothes rails and wardrobe space, shelving, business card holders and postal slots, we can meet the requirements for public and private use. For corporate clients who have adopted an agile working philosophy where hotdesking is part of their setup, we have contemporary lockers that accommodate this ethos. 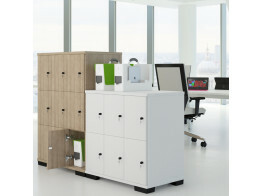 Unite SE Lockers, for example, feature individual locking compartments designed for team areas, offering secure personal office storage for workers who are not fixed to any one workstation. 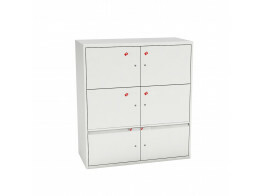 Find the best lockers at Après Furniture. 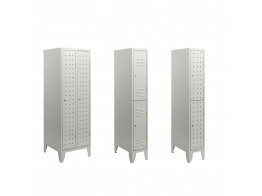 CLK Storage Lockers provide a functional yet stylish solution for secure personal office storage. Each of the Lockerline Lockers feature an upper shelf, clothes rail, towl ring and drip tray. 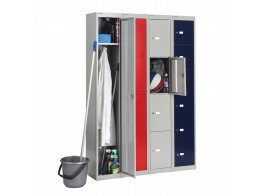 Duploplus Lockers are manufactured in compliance with current work safety regulations.